E-mail written 1999 to Culpepper Connections from James Forrest Culpepper (#6581), e-mail address. Mitchell County Court of the Ordinary, Mitchell Co., GA Marriages, 1861 – 1960, Salt Lake City, UT: Genealogical Society of Utah, 1967 Repository: LDS Family History Library - Salt Lake City, Call # Films # 522,772 - 522,780. Helen Bostwick Culpepper and Weston Monroe Stacey Jr. on _____ in Mitchell Co., GA, Book 1951-1960, p 431. Law School: University of Georgia. James F. Culpepper is an architect, and is a Partner in Culpepper, McAuliffe & Meaders. He has been practicing since 1987 and is registered to practice in 38 states. Hi work focuses on the hospitality industry including such clients as Hyatt Hotels, Ritz-Carlton, Holiday Inn, Doubletree and Rosewood. The firm has a staff of 45 and is located in Colony Square in Atanta, GA.
+ Martha Spence Culpepper, 12 Jun 1911 - 23 Dec 1995. Martha Culpepper, 12 Jun 1911 - 23 Dec 1995, Pelham, Mitchell Co., GA, SSN 260-22-2756 issued in Georgia before 1951. Martha Culpepper, d. 23 Dec 1995 at 84 years in Thomas Co., GA; Res. in Mitchell Co., GA, # 056854. Mitchell County Court of the Ordinary, Mitchell Co., GA Marriages, 1861 – 1960, Salt Lake City, UT: Genealogical Society of Utah, 1967 Repository: LDS Family History Library - Salt Lake City, Call # Films # 522,772 - 522,780. India Elizabeth Culpepper and Thomas B. Hyman on 19 Oct 1940 in Mitchell Co., GA, Book 1940-1951, p 25. Mitchell County Court of the Ordinary, Mitchell Co., GA Marriages, 1861 – 1960, Salt Lake City, UT: Genealogical Society of Utah, 1967 Repository: LDS Family History Library - Salt Lake City, Call # Films # 522,772 - 522,780. 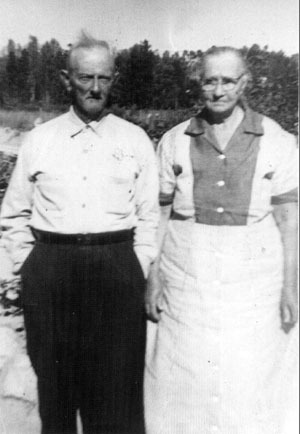 Ruth Leroy Culpepper and Homer A. Tripp on 6 Mar 1943 in Mitchell Co., GA, Book 1940-1951, p 134. E. T. Culpepper and E. L. Alligood on 13 Oct 1907 in Laurens Co., GA, Bk N-105. E-mail written Nov 2010 to Warren Culpepper from Billy Alligood (gs/o #6590), e-mail address. 1 Apr 1927, page 5A, Wedding Annoucement of Mr. Louis E. Culpepper of Atlanta, GA and Miss Tula Tate of Rockhill, SC, married 31 Mar 1927 in Aiken, Aiken Co., SC. E-mail written 9 Jan 2012 to Warren L. Culpepper from Susan Renea Culpepper Soos (#49960), e-mail address. 22 May 1928, page 10A, Obituary of Miss Willie Mae Culpepper, died 21 May 1928 at Thomson, McDuffie Co., GA.
Obituary of Lewis E. Culpepper, Jr. (#47563), published 10 Jan 2012. Lewis E. Culpepper, d. 24 Jul 1964 at 61 years in Richmond Co., GA; Res. in Richmond Co., GA.
26 Jul 1964, page 7B. Obituary. Mr. Lewis E. Culpepper, Sr., of Augusta, died 24 Jul 1964 at his home. Interred at Hillcrest Memorial Park, 28 Jul 1964. Native of Atlanta; had lived in Augusta 32 years. Survivors include wife, Mrs. Tula Tate Culpepper; two sons, L. E. Culpepper, Jr., and Charles William Culpepper; a daughter, Mrs. O. B. Blackson of Panama Canal Zone; and four grandchildren. 30 Jul 1982, page 3B, Obituary and Funeral Notice. Mrs. Tula Tate Culpepper, a native of Toccoa but resident of Augusta for most of her life, died 29 Jul 1982. Interment 31 Jul 1982 at Hillcrest Memorial Park. Survivors include: two sons, Lewis E. Culpepper, Jr. and Charles W. "Cheuck" Culpepper of Augusta; a daughter, Barbara C. Blackmon of Augusta; and a brother, Andrew J. Tate of East Point, GA.
e-mail address, McDuffie Co, GA Cemeteries, Boneville United Methodist Church Cemetery, located at 2416 Boneville Road SE, just off of Hwy 78 in Boneville. Surveyed by Michele Lewis e-mail address on 21 Mar 2003. "Willie Mae Culpepper, 21 Jun 1910 - 21 May 1928." Thomas Culpepper and Lola Thompson on 24 Jan 1907 in Laurens Co., GA, Bk N-76. Prentise Culpepper, Son, M, 11/12, Sng, GA/GA/GA. Isabelle Culpepper, Daughter, F, 1, S, GA/GA/GA. Clye K. Culpepper, d. 12 Oct 1932 in Dodge Co., GA.
Daniel Thompson, Father-in-law, M, 70, Wid, GA/GA/GA, None.